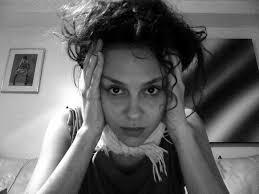 Jasmina Metwaly (EG/PL) is a visual artist and filmmaker based in Cairo. She studied painting in Poznan where she focused on time-based works with strong correlations to painting. She is co-founder of 8784 h project. Following the revolution that ousted President Hosni Mubarak in February 2011, Metwaly was a founding member of the video and social-media collective Mosireen and collaborated with the filmmaker Philip Rizk, promoting video activism and “document unrest”. More recently, she has spent time in the studio and in residency in Italy, reflecting on the tumultuous past with a renewed focus on artistic practice and its specific audience. She is interested in the points of intersection/division between single-channel image, video and documentary filmmaking. Metwaly’s work has been exhibited locally and at international art venues and festivals including Townhouse Gallery, Cairo; 7th Berlin Biennale, Berlin; Forum Expanded Berlinale Film Festival 2014, Berlin; International Film Festival Rotterdam 2012, Rotterdam; Kings Gate, London; Virtual Museum, CASZuidas, Amsterdam, BWA, Wroclaw; amongst others.